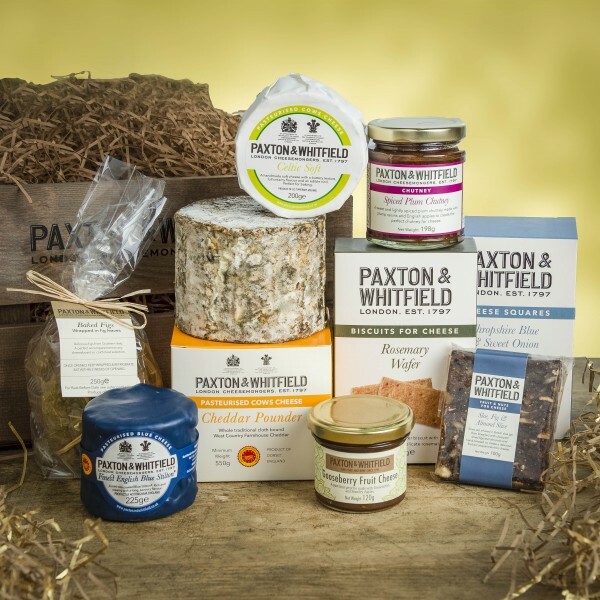 A sweet and savoury collection of fine food presented in a Paxton & Whitfield branded rustic wooden crate . A stylish collection presented in a wooden gift crate, featuring three of our house range cheeses and a selection of accompaniments. Delicious figs from Southern Italy, that have been slowly baked and wrapped in their own leaves. A perfect accompaniment to any cheeseboard or cold meat selection.